We were allowed an early check-in. Location to where we were working was great. Set-up of the apartment was good. Laundry facilities were good. Comfortable, large, had everything we needed & great location. The location, 24 hour access and felt secure. The apartment is well furnished and comfortable. The pool is small but adequate for our needs. Awesome location. Very clean, nice and quiet apartment. 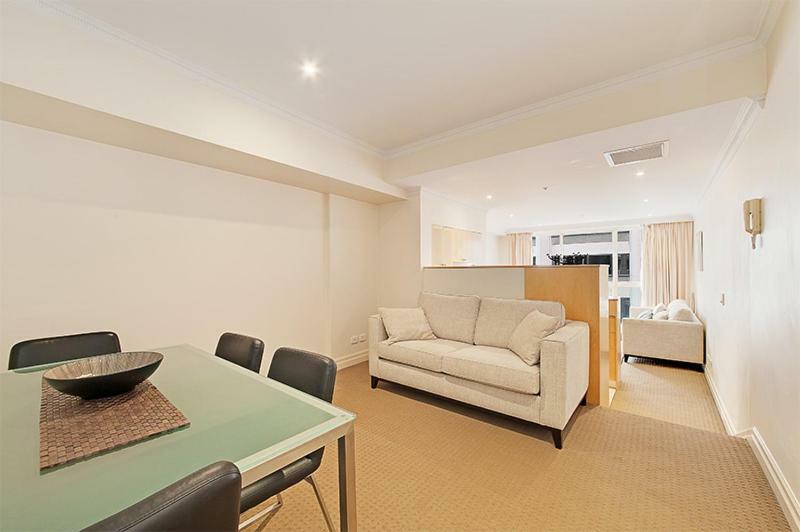 Walking distance to circular quay and pitt st mall. 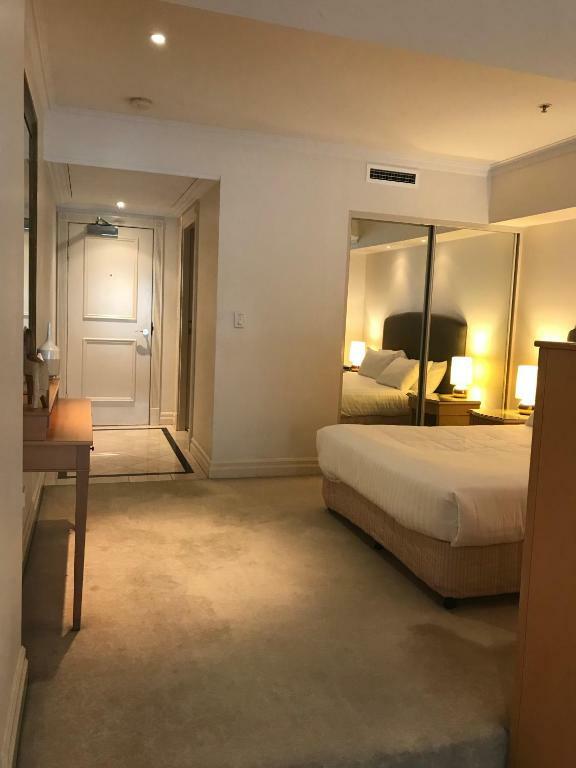 Wyndel Apartments Sydney CBD - Bond This rating is a reflection of how the property compares to the industry standard when it comes to price, facilities and services available. It's based on a self-evaluation by the property. Use this rating to help choose your stay! 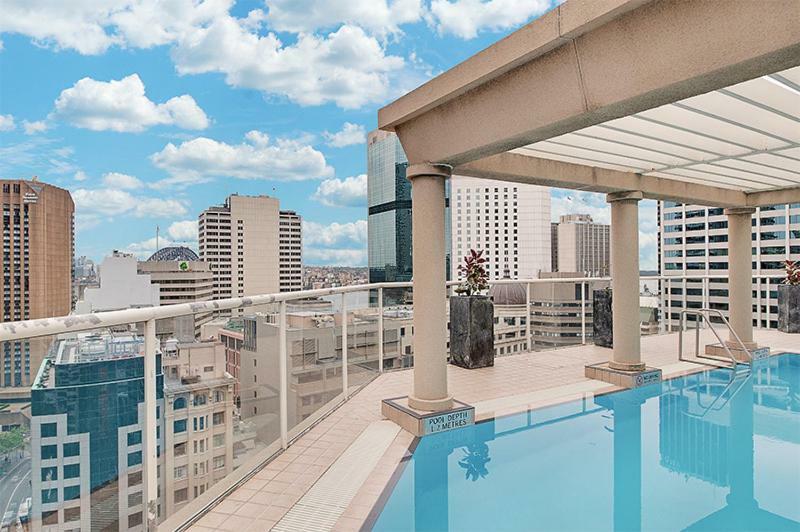 Boasting a fitness center, a rooftop pool and a spa pool, Wyndel Apartments - Bond Street is 5 minutes’ walk from Wynyard Station in Sydney CBD (Central Business District). Guests can relax on their private balcony. Each air-conditioned room includes a BBQ and a fully equipped kitchen with a dishwasher. It has a flat-screen TV, a DVD player, a washing machine and a tumble dryer. 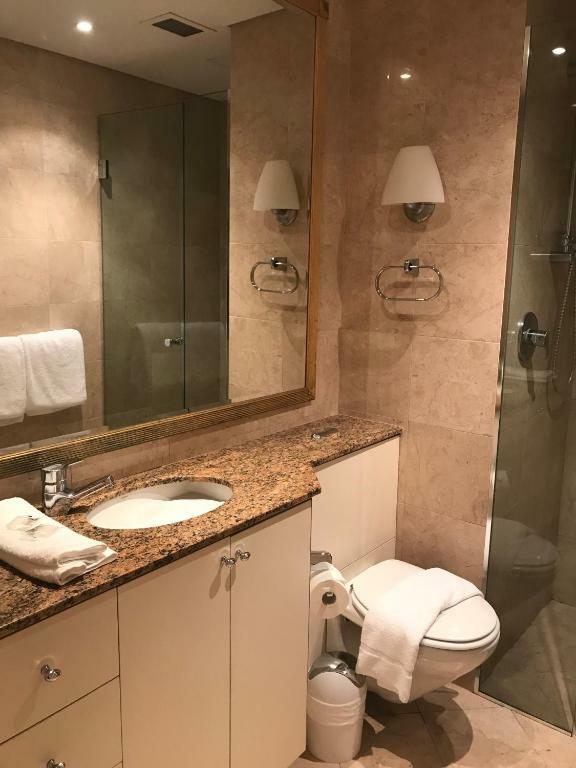 The private bathroom has a bathtub and a hairdryer. 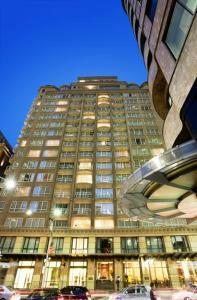 Bond Street Wyndel Apartments is a 5-minute walk from Pitt Street Mall and Martin Place. 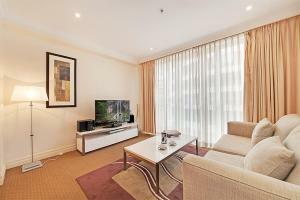 Sydney Opera House and Darling Harbor are less than 10 minutes’ drive away. 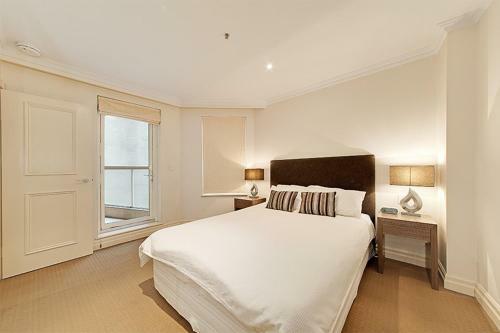 When would you like to stay at Wyndel Apartments Sydney CBD - Bond? This air-conditioned apartment includes a fully equipped kitchen with a dishwasher. It has a flat-screen TV, a DVD player, a washing machine and a tumble dryer. The private bathroom has a hairdryer. 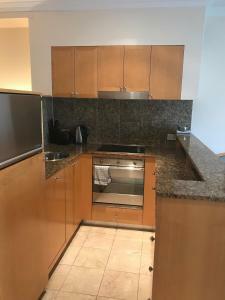 This air-conditioned studio includes a fully equipped kitchen with a dishwasher. It has a flat-screen TV, a DVD player, a washing machine and a tumble dryer. The private bathroom has a shower and a hairdryer. House Rules Wyndel Apartments Sydney CBD - Bond takes special requests – add in the next step! 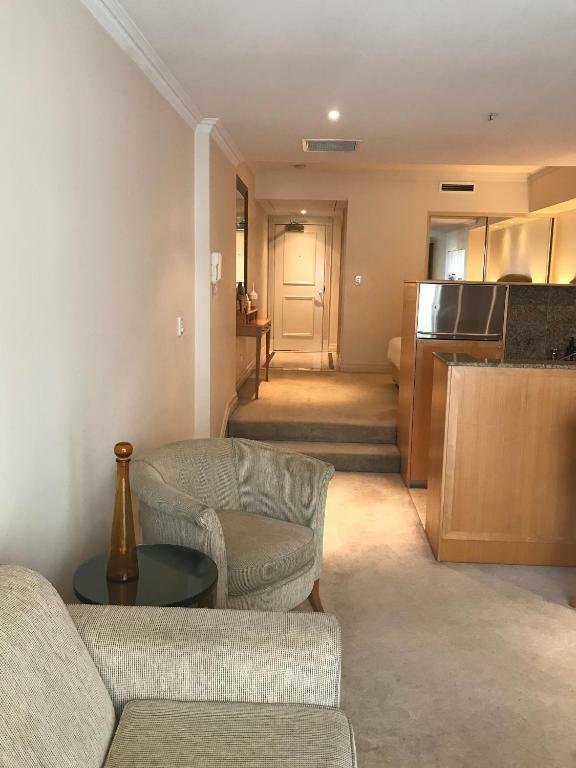 Wyndel Apartments Sydney CBD - Bond accepts these cards and reserves the right to temporarily hold an amount prior to arrival. 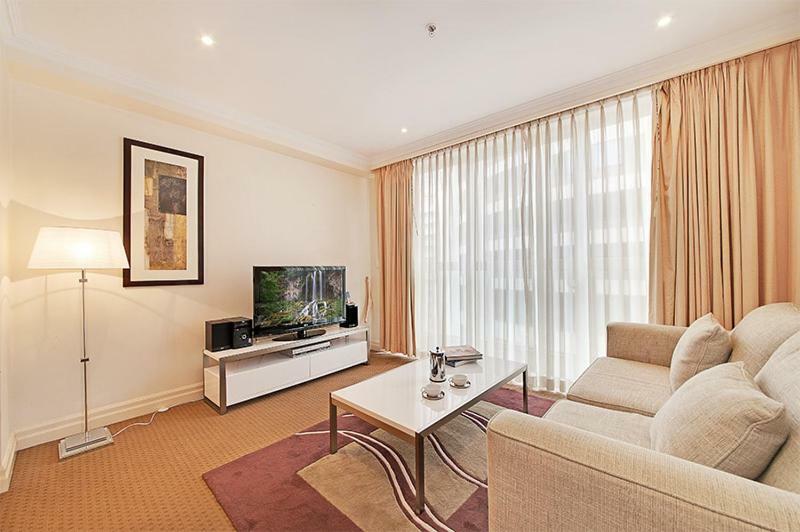 Please inform Wyndel Apartments Sydney CBD - Bond of your expected arrival time in advance. You can use the Special Requests box when booking, or contact the property directly using the contact details in your confirmation. Constant humming of external air ducts.. state of premises was not good.. marks and gouges out of walls, broken fittings.. wanted to charge me for key delivery cause it was after 6pm. The soft furnishings are very old. Couch was old, had an odd smell and was very uncomfortable. I was not advised that major road construction is taking place outside. It was extremely noisy right through every one of the 5 nights preventing a decent sleep. The apartment is in need of renovation. Paying $120 to collect the keys after hours is steap price. It was clear that the apartment hasn't been given a deep clean for a while. Previous residents had put dirty plates back into the cupboards (these clearly aren't checked before the next person comes in) Although there is a cleaning fee for the end of the stay, maybe an option to have a cleaner come in at least once a week could be offered, especially if staying for 2 weeks or more. The ongoing disruption and noise from the current transport improvements in the area. This is not the fault of the owners or booking agent but would be something to be considered for future bookings in this area. No service or help from hotel. Hotel lost my key. Very rude hotel staff. Was very confused at drop off as they do now have reception on site and the driver didnt tell me the apartment was apart of the mantra complex he just dropped me off and said there you go and left. Also i felt i had no other choice then to pay for the private pick up and drop of to the apartment due to my late arrival at apartment i feel that should not be my responsibility if you want to rent out apartments it is up to you to have check in available or clearly state that check in is only available during business hours.